The keyword research you always hear about is very important for your blog or website content, the reason is because most people suggest Adwords key planner is because it is very useful you can't build a house and people answering use a hammer. Keyword research is another way to increase your site visitors, because the keyword is what people would try searching for on google search engine. Google keyword planner will help you start up your campaign in keyword research. The issue there is because it gives you the ultimate choosen keyword along with a monthly average of searches, then also put in place analyzing and active online forums, blogs, website related to your niche. 1. You should spend 19-20 minutes on any keyword you go through on google. 2. In keyword research you will have to look in a keyword like jaxxy this will improve your keyword research. 3. Try using google adwords there you can get the best keyword with top results. 4. Another suggestion is to go to YouTube and try typing this "how to do keyword research for seo" and by so doing this will get the best answer for you. 5. 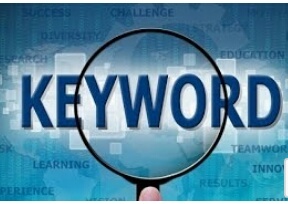 Search for the keyword with the highest search rate and the lowest competition. Just always remember that building an online business, if a tool will make it more easier why not try using it. It might be free but remember it requires time. Thanks why not drop your own suggestions below thanks. When you want to write a content/article, you must think about your keyword. Without keyword research, you will not get enough visitors for your article.